Bard Limited is a multinational developer and manufacturer of medical technologies in the fields of vascular, urology, oncology and surgical specialty products. In particular, they have developed a range of single-patient-use medical products for hospital procedures that are marketed to hospitals, individual health care professionals and care facilities. 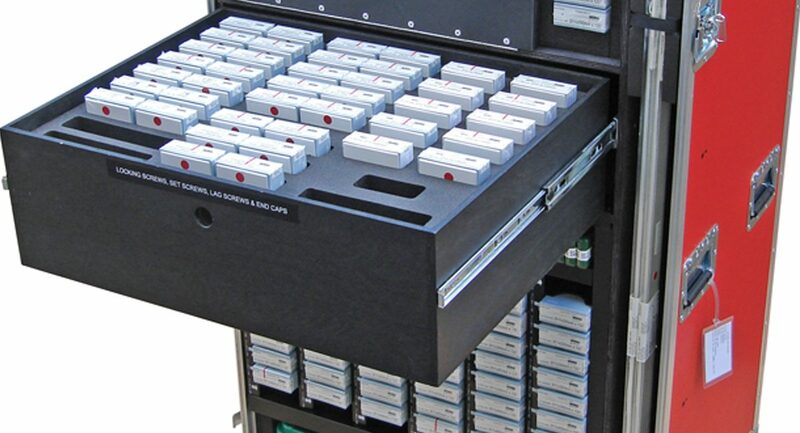 Bard required a case for their sales staff to demonstrate disposable hernia repair kits and implants to potential customers, and working around medical professionals with tight schedules, sales staff needed to set up quickly and have everything to hand. 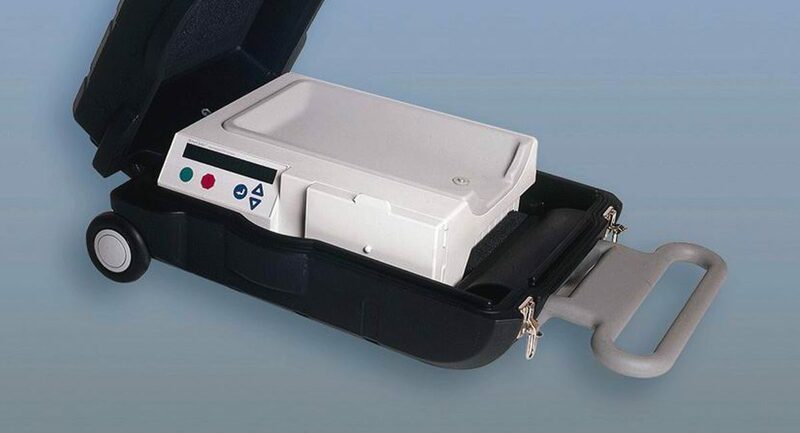 The case needed to protect the equipment during transit and also be an effective sales tool, with space for product literature. 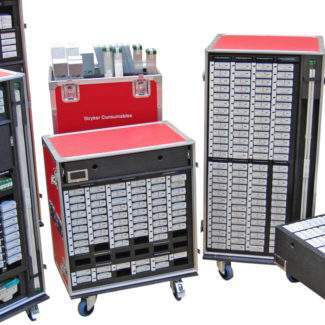 With sales staff having several appointments in a day, materials needed to be durable to withstand the demands of transport and demonstration, while weight and portability were also key considerations for individuals who would be using the case on a daily basis. 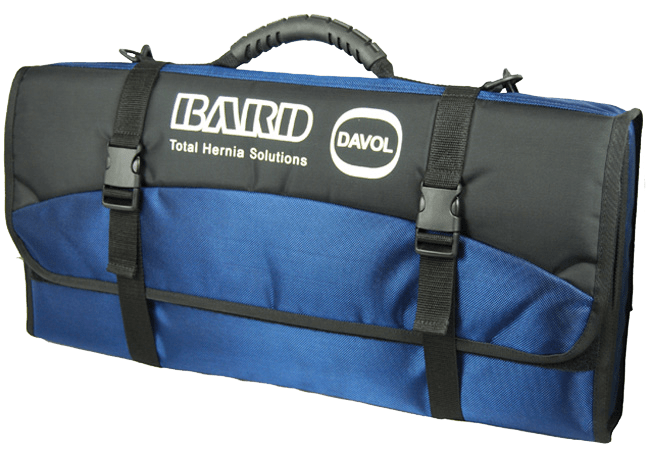 CP Cases worked with Bard to produce a functional and stylish solution for their sales team; a hard case would have been too bulky for the requirement, so a custom soft rugged textiles case was designed. Quality components are used throughout the bag so that when opened, demonstration equipment and literature are well presented and easily accessible. 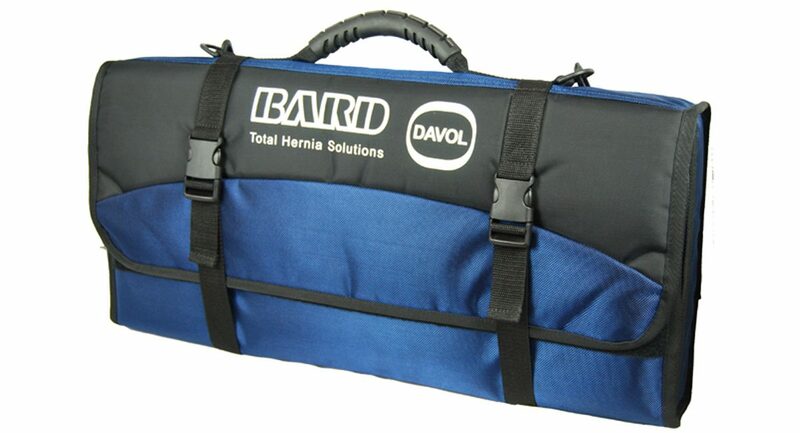 The outer bag is constructed from hard wearing 840 denier PVC backed nylon padded with 5mm foam and branded with a silk screen of the Bard logo. When closed, the top flap is secured with Velcro, heavy duty clips and adjustable webbing straps and the carrying handle is moulded from comfy-grip rubber. An adjustable, removable shoulder strap is also supplied. 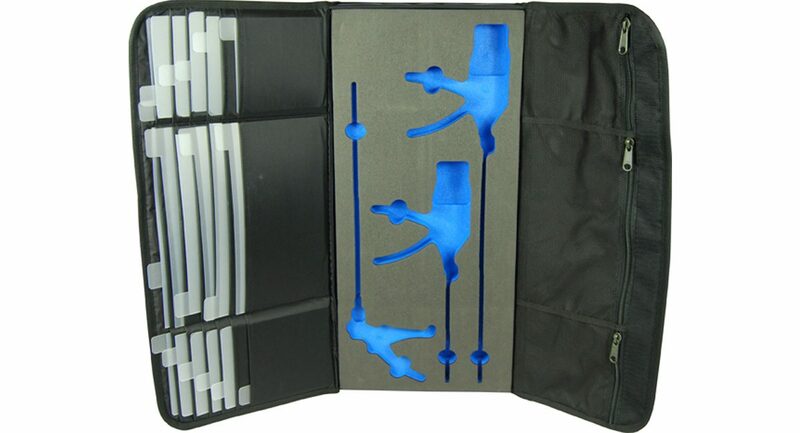 Tabbed, polypropylene wallets are fitted for storage of the numerous medical accessories and zipped, mesh pockets were also included to house product information. Initially, loops of elastic, combined with Velcro tabs were designed to hold the equipment in place but after consultation with Bard sales team, the end-users, the design team settled on using custom CNC routed two-colour foam engineering to protect and secure components. This solution offered greater protection whilst presenting the items in a professional fashion and making identification of missing pieces easy. CP Cases worked with Bard to produce a functional and stylish solution for their sales team; a hard case would have been too bulky for the requirement, so a custom soft case was designed. The design team recommended using custom CNC routed, two-colour foam to protect and secure components. 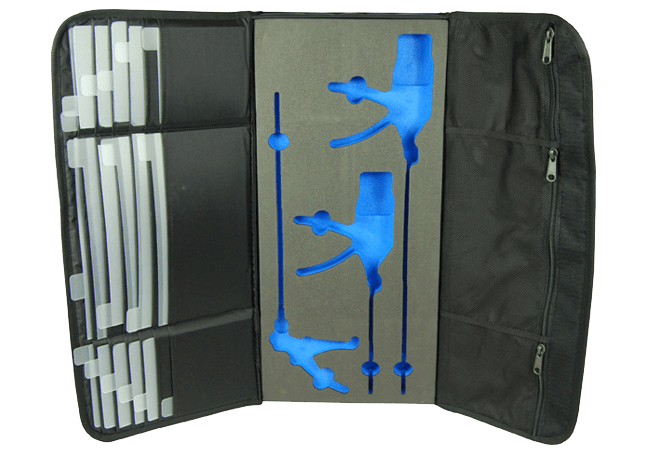 This solution offered greater protection whilst presenting the items in a professional fashion and making identification of missing pieces easy.